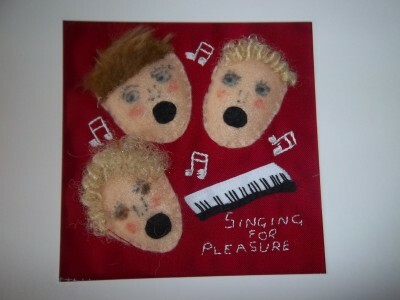 We have discovered that popular songs are not as easy as the original singers made them sound – quite a learning curve! I am told that singing increases the flow of a hormone into the body which increases the feeling of happiness- whatever, we leave on a ‘high’ after an hour of singing, so there must be something in it. With a group of around 12 at each session, more people are welcome. We meet on the 2nd and 4th Wednesday each month at 2pm at Southwick Scout Hall. This is an open group for people to join at any time. For further information please contact the Groups Co-ordinator.